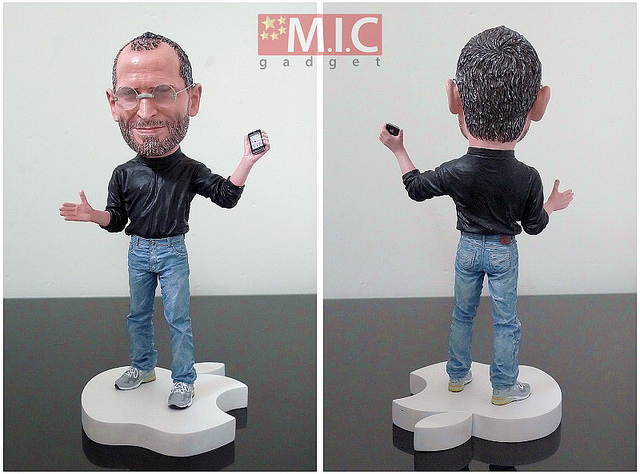 Apple big man Steve Jobs is now immortalized on an action figure. The action figure wears Steve Jobs trademark outfit: black turtleneck, blue jeans, rimless glasses, New Balance 991 sneakers and a very tiny iPhone. The Steve Jobs action figure retails at $79.90.